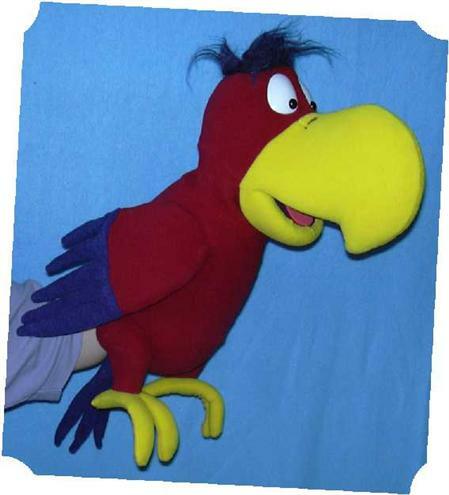 Parrot foam ventriloquist puppet for sale, is made of modified foam rubber and covered with fleece fabric. The ventriloquist Dummy doll has a movable mouth and convenient grip control of mouth movements. The head turns 360 degrees. The soft Dummies doll is a professionally muppet puppets for ventriloquists. Clothes are removable and may vary. It can easily be used for talking puppet show, performances by professional puppeteers, amateurs and children as well. A beautiful and original gift, a designer’s work made by hand! The ventriloquist figure dummy puppet doll will be made to order and sent to you 3 weeks after payment. Birds of feather flock together. 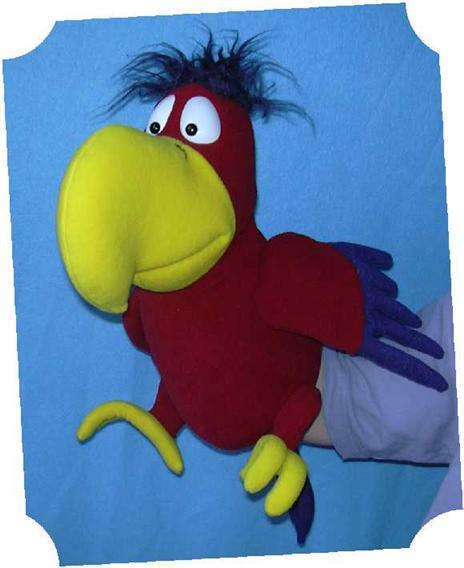 Our bright and colorful parrot flocks perfectly with other puppets in the selection of our store to form an amazing performance for your audience. 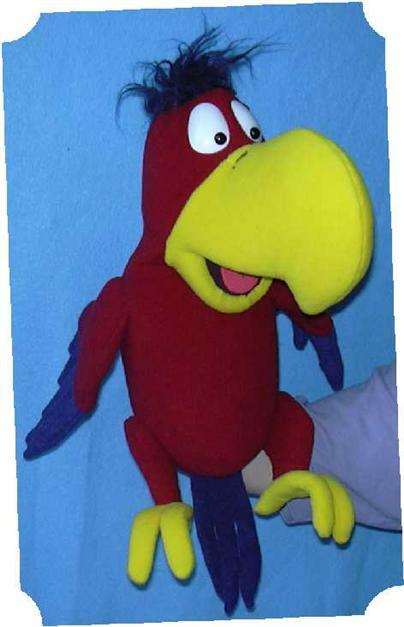 This 21 inch parrot puppet is made of wool, filled with special foam rubber for lighter weight. Yellow beck, bright red body and blue wings make it resemble a lot a famous Walt Disney character Yago from Aladdin. This also allows us to control the doll with ease: make it walk, talk, dance, etc. With such a starring personality, this character will become the cherry on a pie of your puppet theatre performance. Order a parrot from our shop and we will create your doll and ship it to you only 2 weeks after the payment.